LA Unified’s recent order for new testing devices ensures that district students will have all the technical equipment they need to take the state mandated exam later this year. Whether the Smarter Balanced test results will be used for anything is a separate issue. While intense public scrutiny over the deal between the district and Apple and Pearson has put the district’s one-to-one iPad program on hold, leaving most students device-less for the past five months, the district has pushed ahead with acquiring the remaining tablets and laptops needed for the spring test. Over the winter break it ordered 21,000 iPad Airs with matching keyboards and 6,000 Chromebooks, at a cost of $13 million. It puts the number of testing iPads at just over 73,000. Joe Oliver, a Director in the Information Technology Division who coordinates the distribution of tablets and laptops, told LA School Report they will be delivered to classrooms by Feb 10. 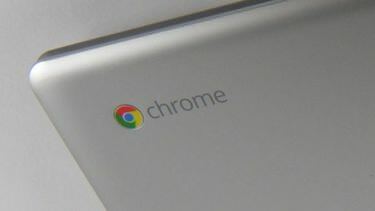 “The iPads have been ordered, and they’re being delivered in waves,” Oliver said adding that all of the Chromebooks have already arrived. As soon as classes resume next week, he said, the IT Department will begin distribution. Both the tablets and the laptops will need to have the Smarter Balanced test application installed, but the district plans to do that wirelessly. The iPad Airs, which are a generation older than the latest model — the iPad Air 2 — cost $510 each and the keyboards another $23 apiece. The Chromebooks came in just over $300 each. Another batch of iPads that students and teachers are counting on to take the test, are ones purchased under LA Unified’s one-to-one technology. Oliver says the district is 75 percent of the way through redistributing those tablets. Delivery has been held up for months while the district upgraded the operating system iPads, which are loaded with Pearson’s Common Core curriculum. Of the 57 schools that are part of the program, 15 remain without iPads. Although the district had initially promised a October delivery date, the new deadline is Feb 10, says Oliver. Just what the test results will be used for — if anything — remains an open question. There is a building chorus of state officials who don’t want the test results to count toward measuring how well students are grasping the new Common Core curriculum — mostly because of problems associated with computerized testing. The California State Board of Education will take up the issue at its next meeting on Jan 14.